Forget buzzy, celebrity-owned boîtes and extravagant, expense-account eateries. 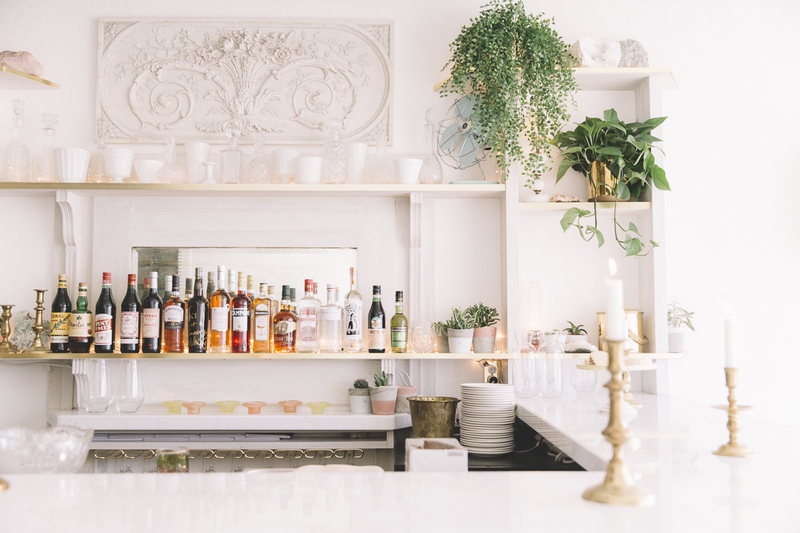 A consistently great menu, memorable drinks, and a gracious ambience—think flattering, intimate lighting and noise levels that allow for conversation—are the essential features of an ideal date night restaurant, regardless of how long it’s been open or if there’s a cute Instagram feature wall. Whether you’re celebrating a milestone anniversary or just getting away from the kids for an evening, these are the Toronto restaurants you’ll want to visit, and come back to time and time again. 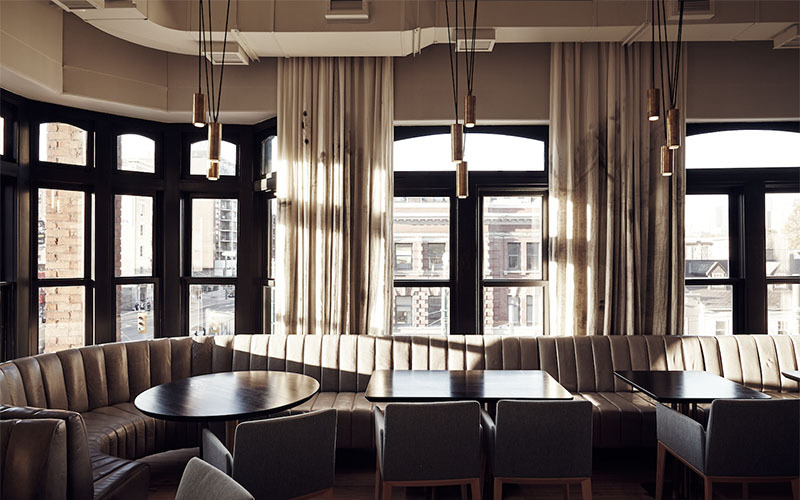 This sleek, Commute Design-decorated restaurant, spread over two levels of the Storys Building downtown, is ideally located for pre-theatre meals and weeknight dates. Executive chef Stuart Cameron’s Eastern Mediterranean menu at Byblos incorporates spices and ingredients from the Middle East and North Africa, and the results, served family style, are as flavourful as they are colourful. The lively basmati rice dishes and veggie-heavy sides are particular crowd-pleasers. The pricey tasting menu dinner at Alo, which has topped a number of “best of” lists in recent years, is more of a special-occasion treat. But if you can get a reservation, chef and owner Patrick Kriss’ beautifully plated dishes and amuse-bouches will make for a meal to remember. 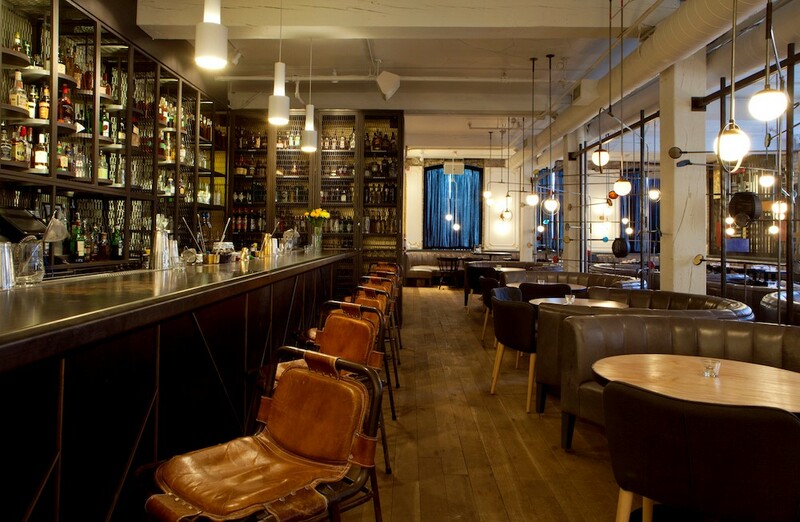 And even if you can’t land a table, well-crafted cocktails and nibbles from the limited menu at the walk-in bar would make for a pretty great evening, too. 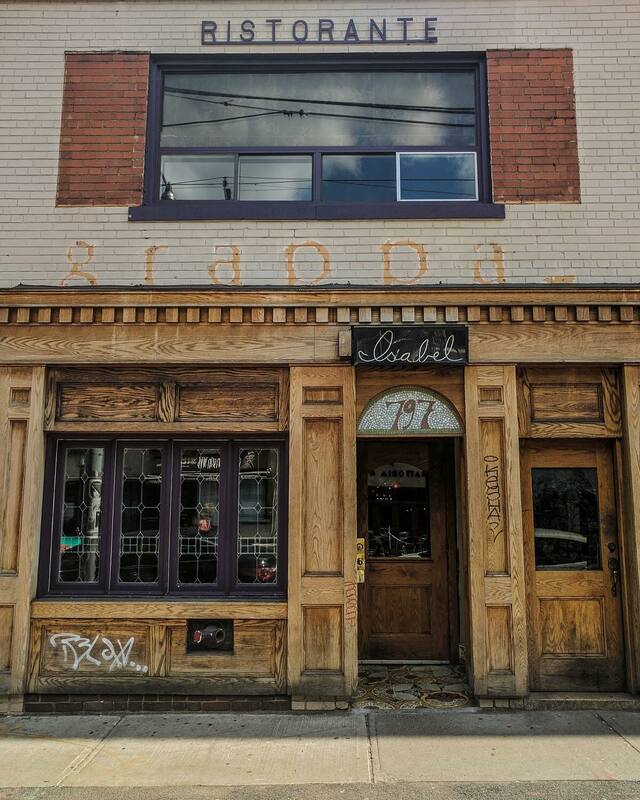 Opened last year by Mitch Bates, formerly chef de cuisine at Momofuku Ko, and Jen Agg of the Black Hoof, this “new North American” restaurant is the perfect excuse to spend a night exploring the lively Kensington Market neighbourhood. There’s an extensive wine list, and hearty dishes like dry-aged duck and black truffle ravioli to enjoy in the pretty space. Blink and you might miss this intimate, excellent little restaurant, located near an entrance of Bay subway station, which doesn’t currently have a website. The small menu changes daily, but generally features seasonal takes on comforting, rustic ingredients like sweetbreads, pea greens, and lamb shoulder. 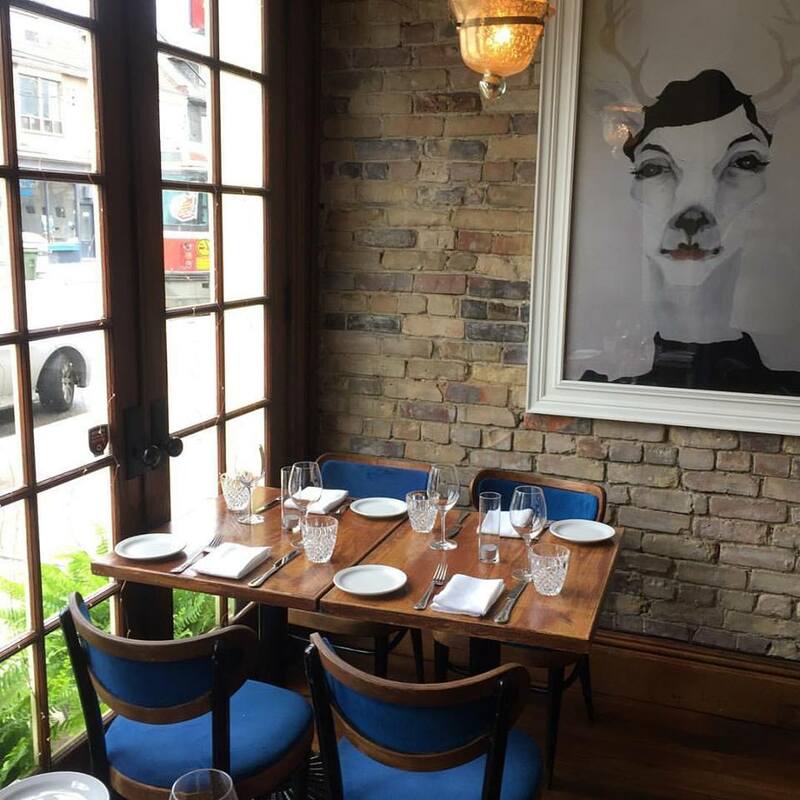 If you’ve been craving classic French dishes like steak tartare and cassoulet, make a date for this cozy Leslieville restaurant post haste. Paired with a strong list of French wines and classic cocktails, the generous, well-presented dishes are perfect for a low-key night out. 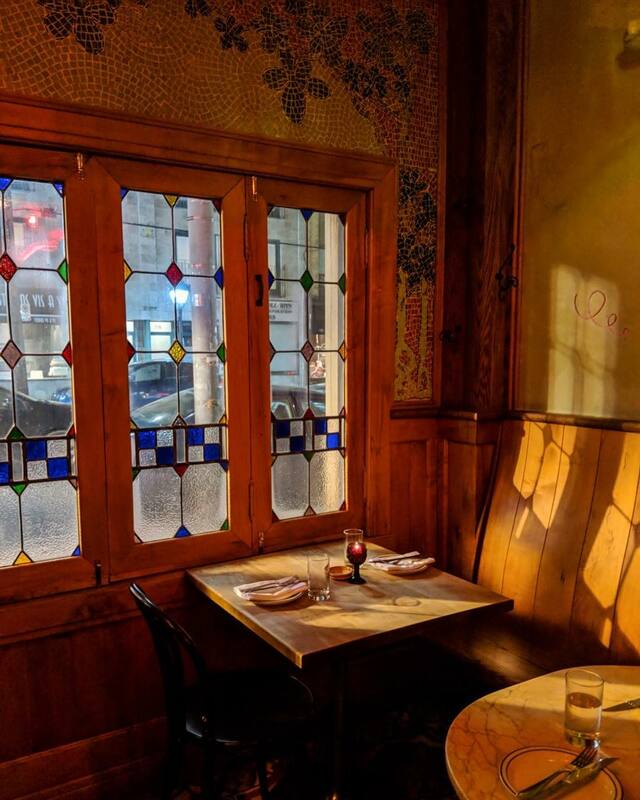 The original, moodily-lit Grant van Gameren restaurant (he currently co-owns seven in the city) is perhaps still the most beloved, and for good reason. Practically since its opening in 2013, the College Street bistro’s Spanish tapas, strong cocktails, and infamous grilled octopus dish have been embraced by downtown diners. Be forewarned: a lively evening here might have you charting a Mediterranean jaunt before long. Reservations at this homey, award-winning restaurant can be hard to come by, but they are certainly worth the effort. Meals at Edulis primarily focus on seafood, vegetables, and foraged mushrooms, and the seasonal tasting menus by chefs and restaurateurs Tobey Nemeth and Michael Caballo are memorable but not precious. For a true treat, visit during truffle season and you’ll be able to enjoy dishes such as geoduck with white truffle, and chestnut and potato with black truffle butter.